Интересный Английский Avant-Garde/Jazz Лэйбл (Chelmsford-Essex). Цена дисков достаточно высока (ориентировочно 17у.е. в Москве). Диски характеризует отличное качество звучания и оригинальный фирменный дизайн. FMR CD116 AMALGAM ANOTHER TIME Trevor Watts (alto & soprano saxophones), Steve Hayton (guitar), Pete Cowling (bass guitar), Liam Genockey (drums). FMR CD119 AMALGAM INNOVATION Trevor Watts (alto saxophone), John Stevens (drums), Kent Carter (bass) Lindsay Cooper (bass), Keith Tippett (piano), Terri Quaye*congas). 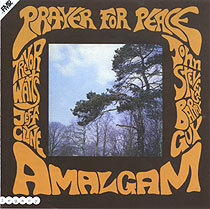 FMR CD96 AMALGAM PRAYER FOR PEACE 31-12-99 Trevor Watts, alto saxophone; John Stevens, drums; Jeff Clyne, bass; Barry Guy, bass (track 5). Recorded on 20 May 1969 at Advision, London. FMR CD125 AMALGAM SAMANNA Trevor Watts (Alto and percussion), Dave Cole (guitar), Colin McKenzie (bass guitar), Pete Cowling (bass guitar), Liam Genockey (drums). 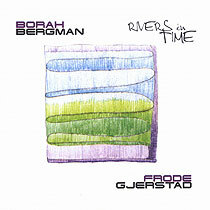 FMR CD130 BERGMAN, BORAH Rivers in time Borah Bergman, piano; Frode Gjerstad, saxophone, clarinets. Duo tracks and FG solo track recorded at NRK Studios, Stavanger on 1 March 2002; Exuberation recorded at Systems 2 Recording Studios on 25 October 2002; Memory of Gil Evans recorded at Sherman Square Studios, nd. FMR CD30 Blackmore, Dave Fields of Fire w/Jean Toussaint, Kenny Wheeler and John Taylor. 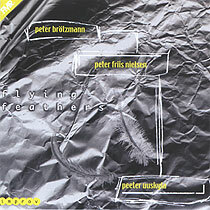 FMR CD91 BROTZMANN, PETER Flying feathers Peter Brötzmann, alto saxophone, tenor saxophone, tarogato; Peeter Uuskyla, drums; Peter Friis Nielsen, electric bass. Recorded Autumn 2001 at Bohus Sound Recording, Kungälv, Sweden. FMR CD92 BURT, GEORGE Coxhill Street Lol Coxhill, soprano saxophone; George Burt, guitar; Raymond MacDonald, alto and soprano saxophones; Nicola MacDonald, vocals, melodica; George Lyle, double bass; Allan Pendreigh, drums. Recorded on 15 and 17 June 2001 at The Foundry, Glasgow. 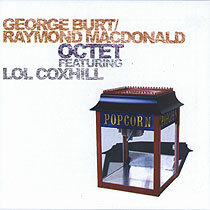 FMR CD136 BURT, GEORGE Popcorn Lol Coxhill, soprano saxophone; George Burt, guitar; Raymond MacDonald, alto and soprano saxophones; Aileen Campbell, voice, popcorn machine, hairdryer; Nicola MacDonald, voice, melodica; George Lyle, double bass; Allan Pendreigh, drums; Christoph Reiserer, soprano saxophone. 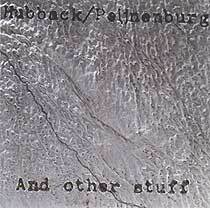 Recorded on 29 June 2003 at The Foundry, Glasgow. 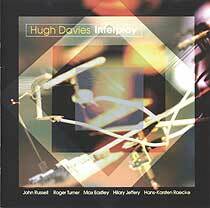 FMR CD39 DAVIES, HUGH Interplay Hugh Davies, invented instruments; Max Eastley, Arc (track 6); Hilary Jeffery, trombone (track 2); Hans-Karsten Raecke, blas-metall-dosen-harfe (track 4); John Russell, acoustic guitar (tracks 1, 3, 5, 7); Roger Turner, percussion (tracks 1, 3, 5, 7). Recorded in February/March 1997 at FMR Records Studio, Chelmsford except track 4, recorded on 11 November 1996 at Goethe Institut, Cracow. FMR CD145 DNA DNA Paul Brimmer (tenor saxophone), Mehboob Nadeem (sitar), Hanif Khan (tabla), Stan Adler (cello and double bass), Adrian Northove (soprano saxophone). FMR CD87 DUNMALL, P./T. 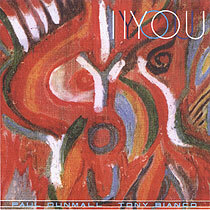 BIANCO I YOU 06/12/01 Paul Dunmall, saxophones, bagpipes; Tony Bianco, drums. Recorded on 24 January 2001 at the Steam Room Studios. FMR CD72 DUNMALL, PAUL EASTWESTNORTHSOUTH 22-02-01 Paul Dunmall, tenor and soprano saxophones, bagpipes; Mark Sanders, drums; John Adams, electric and acoustic guitar; Philip Gibbs, electric guitar. Recorded on 8 June 2000 at the Victoria Rooms, Bristol. 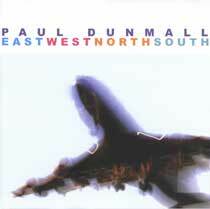 FMR CD155 DUNMALL, PAUL Love, Warmth and Compassion Paul Dunmall, soprano saxophone, bagpipes; Hamid Drake, percussion; Phil Gibbs, electric guitar; Paul Rogers, 7-string double bass. Recorded at the Music Studios, University of West England on 23 May 2004. FMR CD107 DUNMALL, PAUL Out From the Cage Paul Dunmall, saxophones; Tony Bianco, drums; John Edwards, bass; John Adams, guitar. Recorded on 17 February 2000 at the Steam Room Studios, London. FMR CD141 DUNMALL, PAUL SHOOTERS HILL 12/07/04 Paul Dunmall, tenor saxophones; Paul Rutherford, trombone; Jon Corbett, trumpet; John Adams, guitar; Roberto Bellatalla, bass; Mark Sanders, drums. Recorded on 17 May 1998 at Gateway Studios, London. FMR CD118 DUNMALL, PAUL Solo Bagpipes Paul Dunmall, Gaida, Northumberland, border bagpipes. Recorded on 9 May 2003 at Muse Studios, South West University. FMR CD107 EDWARDS/ADAMS OUT FROM THE CAGE Paul Dunmall (saxophones), Tony Bianco (drums), John Edwards (bass), John Adams (guitar). FMR CD135 Ensemble Q Untold Susie Hodder-Williams (flute, alto flute, bass flute), Emma Feilding (oboe, cor anglais), Stuart King (clarinet), Jose Lluna (horn), Jo Turner (bassoon, contra bassoon), Chris Walters (bass clarinet), Fiona Ritchie (percussion). FMR CD144 GJERSTAD, FRODE/PAUL HESSION MAY DAY 12/07/04 Frode Gjerstad, saxophones; Paul Hession, percussion. Recorded Villrosen on 7 May 2003. 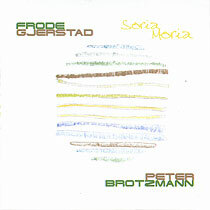 FMR CD126 GJERSTAD, FRODE/BROTZMANN, PETER Soria Moria Frode Gjerstad, Eb, Bb and bass clarinets; Peter Brötzmann, tarogato, A-clarinet, bass clarinet. Recorded in Stavanger on 19 February 2003. 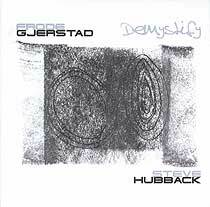 FMR CD67 GJERSTAD, FRODE/STEVE HUBBACK DEMYSTIFY 24-08-00 Frode Gjerstad, alto saxophone; Steve Hubback, percussion. Recorded in March 1999. 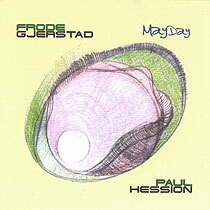 FMR CD110 GJERSTAD, FRODE TOU Frode Gjerstad, saxophone; Lasse Marhaug, electronics. 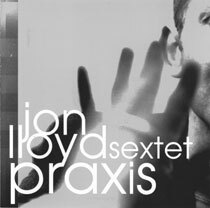 Recorded on 22 November 2002 in concert at TOU, the old brewery in Stavanger. 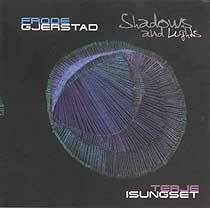 FMR CD89 GJERSTAD, FRODE Shadows and lights Frode Gjerstad, clarinets; Terje Isungset, percussion. Recorded on 10/11 August 2001 in Bergen. FMR CD122 GJERSTAD, FRODE ST. LOUIS Frode Gjerstad (saxophone), Oyvind Storesund (bass), Peal Nilssen-Love (drums). 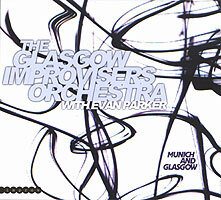 FMR CD123 Glasgow Improvisers Orchestra Munich and Glasgow Kenneth Broom, tenor saxophone; Stuart Brown, drums (tracks 1, 3, 5, 6); George Burt, guitar; Matthew Cairns, cornet; Richard Craig, flute; Tom Crossley, guitar (tracks 2, 4); Neil Davidson, guitar; Peter Dowling, alto saxophone; Nick Fells, shakuhachi, Robert Henderson, trumpet (tracks 2, 4); Giles Lamb, double bass; Raymond MacDonald, alto and soprono saxophones; Una MacGlone, double bass (tracks 2, 4); Alexander Neilson, drums; Peter Nicholson, cello (tracks 2, 4); Daniel Padden, piano (tracks 2, 4), clarinet and percussion (all tracks); Evan Parker, tenor and soprano saxophones (tracks 1, 3, 5, 6); Christoph Reiserer, soprano saxophone (tracks 1, 3, 5, 6); Emma Roche, flute; Matthew Studdert-Kennedy, flute; Graeme Wilson, tenor saxophone (tracks 1, 3, 5, 6). FMR CD31 Hall, G.P. Figments of Imagination G.P. 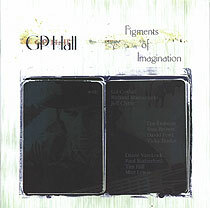 Hall, 6-string bass, acoustic guitar, autoharp, violin, electric guitar; Lol Coxhill, soprano saxophone (tracks 1, 6); Richard Marcangelo, drums (tracks 1, 6); Jeff Clyne, double bass (tracks 2, 6, 8); Lyn Dobson, flute (track 3); Sam Brown,drums (track 4); David Ford, trumpet (track 4); Vicky Burke, soprano saxophone (track 4); Diana Van-Lock, violin (track 4); Paul Rutherford, trombone (track 8); Tim Hill, alto saxophone, bombarde (track 8); Matt Lewis, drums (track 8). FMR CD75 Hubback, Steve/Ab Peijnenburg And other Stuff Steve Hubback, percussion; Ab Peijnenburg, baritone saxophone, sopranino saxophone, bombarde, hichiriki. Recorded on 22 and 25 February 2000 at 2B Eindhoven, Holland. 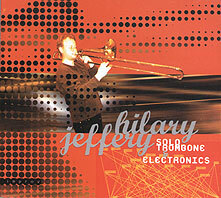 FMR CD129 Jeffreys, Hilary Solo Trombone & Electronics Hilary Jeffreys, trombone, electronics. Trombone recorded at Maria Minor Church, Utrecht and Kreepa Studios, UK; electronics constructed in the 'Hilcave', Amsterdam. 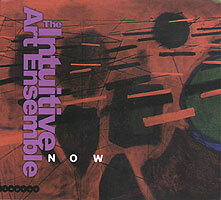 FMR CD121 Intuitive Art Ensemble Now Paul Dunmall, saxophones, invented instruments; Phillip Gibbs, guitar; Andrew Ball, piano, celeste; Neil Metcalfe, flute; Hilary Jeffreys, trombone; Trevor Taylor, percussion, sound sculptures. Recorded on 4 May 2003 at Victoria Room, Studios of the University of Bristol. 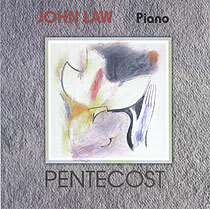 FMR CD50 LAW, JOHN Chants Collection John Law, piano. FMR CD27 LAW, JOHN PENTECOST 31-12-99 John Law, piano. 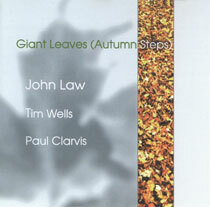 FMR CD32 LAW, JOHN -TRIO- GIANT LEAVES (Autumn Steps) 03/11/99 John Law, piano; Tim Wells, double bass; Paul Clarvis, drums, percussion. Recorded 8 December 1995 at Gateway Studios, London. FMR CD06 LAW, JOHN Talitha Cumi: Mediations on the Dies Irae John Law, piano. FMR CD41 LAW, JOHN The Hours John Law, piano. Recorded on 20 September and 18 October 1996 at Gateway Studios, London. FMR CD38 LAW, JOHN -TRIO- The Onliest: Pictures From a Monk Exhibition John Law, piano; Tim Wells, double bass; Paul Clarvis, drums, percussion. Recorded 20 September and 15 October 1995 at The Premises, London. FMR CD47 LLOYD, JOHN -SEXTET- Praxis John Lloyd, alto and soprano saxophones; Marc Stutz-Boukouya, trombone; Aleks Kolkowski, violin; Stan Adler, cello; John Edwards, bass; Mark Sanders, percussion. 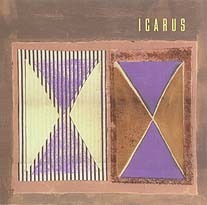 Recorded 28 August 1997 at Colchester Arts Centre. 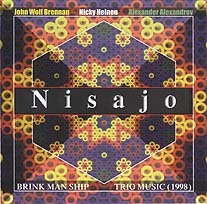 FMR CD53 Nisajo Brink Man Ship: Trio Music (1998) John Wolf Brennan, piano, prepared piano, star wars squark box; Nicky Heinen, flute, kalimba, jaw's harp, letesflute; Alexander 'Sasha' Alexandrov, bassoon, letesflute, kalimba. Recorded on 15 November 1997 at Gateway Studios, Kingston, London. FMR CD07 Osborne, Mike Outback Mike Osborne, alto sax; Harry Beckett, trumpet; Louis Moholo, drums; Harry Miller, bass; Chris McGregor, piano. Probably recorded 1970. FMR CD10 Osborne, Mike Shapes Mike Osborne, alto saxophone; John Surman, soprano and baritone saxophone; Alan Skidmore, tenor saxophone; Louis Moholo, drums; Harry Miller, bass, Earl Freeman, bass. Recorded at Pye Studios in February 1972. 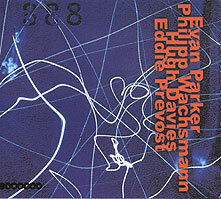 FMR CD123 PARKER, EVAN 888 Evan Parker, tenor and soprano saxophones; Philipp Wachsmann, violin, electronics; Hugh Davies, invented instruments; Eddie Prévost, percussion. 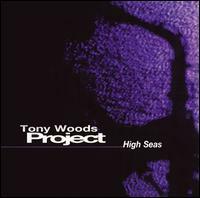 Recorded at the Dixon's Theatre, Westcliff on Sea, Essex at 8pm on 8 August 2003 as part of the New Music Days series of concerts for the 2nd Southend International Jazz Festival. FMR CD78 Perry, Frank Temple of the ancient magical presence: new music/old music for solo percussion, duo and trio Frank Perry, percussion; Evan Parker, soprano saxophone (track 3); David Toop (track 4); Jin Hi Kim (track 4); Paul Lovens, percussion (track 5); Paul Lytton, percussion (track 5); Cathy Stevens, violin, viola (track 7); Chas. H Dickie, cello (track 7); Trevor Taylor, percussion (track 8). FMR CD128 QUINTESSENCE DISC ONE Susanna Hodder-Williams (flute), Rebecca Wood (oboe), Victoria Loram (clarinet), Alison Bryce (horn), Jo Turner (bassoon). FMR CD79 Recreator Solar Sahara saxophonist Theo Travis, percussionist and ex-pat Steve Hubback and keyboardist Nick Le Beat. FMR CD61 Richard, Tim/Sigi Finkel Soundscape Sibop pianist Tim Richards, saxophonist Sigi Finkel, Marc Parnell on drums and Phil Scragg on bass. FMR CD26 RILEY, HOWARD FLIGHT 15-12-95 Howard Riley, piano; Barry Guy, bass; Tony Oxley, drums and amplified percussion. Recorded in London on 20 March 1971. FMR CD14 RILEY, HOWARD Wishing on the moon Howard Riley, piano; Mario Castronari, bass; Tony Marsh, drums. Recorded at The Premises, London on 24 May 1993. FMR CD08 RILEY, HOWARD/TIPPETT, KEITH The Bern Concert Howard Riley and Keith Tippett, piano duo. Recorded at Studio Bern Swiss Radio DRS on 8 December 1993. FMR CD101 ROWLAND SUTHERLAND'S MISTURA COAST TO COAST Rowland Sutherland (flute), Byron Wallen (trumpet), Fayyaz Virji (trombone), Joe De Jesus (trombone/percussion), Kevin Robinson (trumpet/ flugelhorn), Richard Ajileye (percussion), Mark Donlon (piano/keyboards), Dudley Philips, Geoff Gascoyne, Nick Cohen (electric bass), Winston Clifford (drums). FMR CD106 ROY, BADAL/GEOFF WARREN KOLKATA ROSE Badal Roy (tablas/percussion), Geoff Warren (flutes/sop sax), Stomu Takeishi (bass guitar). 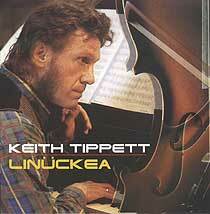 FMR CD70 TIPPETT, KEITH Linückea Keith Tippett, piano; David Le Page, violin; Christopher George, violin; Malcolm Allison, viola; Phillip Sheppard, cello; Martha Sheppard, narrator. Recorded at Gateway Studios, Kingston, in March 2000. FMR CD124 TOWNDROW, PAUL COLOURS Paul Towndrow (alto & soprano saxophones), Ross Hamilton (acoustic & six-string electric bass), Alyn Cosker (drums), Paul Harrison (piano), Ryan (Quigley (trumpet). Two Full Ears Listening To Improvised Music Steve Days w/Keith Tippett s Arc, Evan Parker, Trevor Watts, Marilyn Crispell, Don Cherry, Rabih Abou-Khali, Tony Coe, Ed Blackwell, Peter Faiclough and Sofia Domancich. 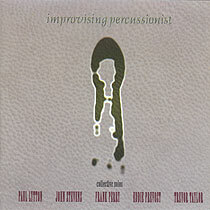 FMR CD81 V/A IMPROVISING PERCUSSIONIST: COLLECTIVE SOLOS 06/12/01 Frank Perry, percussion; John Stevens, percussion; Paul Lytton, percussion; Trevor Taylor, percussion; Eddie Prévost, percussion. FMR CD113 V/A As Lit from within Dirk Wachtelaer, drums electronics; DJ Grazzhoppa, turntables, beat; Paul Lytton, live electronics; Gerrit Valckenaers, sampler, Indian pump organ, bass clarinet; Jim Denley, flute, saxophone, voice; Michael Weilacher, oil drum, zither, bottles; Stevie Wishart, live electronics, voice, hurdy gurdy; Piet Verbist, double bass; Pierre Bastien, violin machine, javanese rebab, trumpet; Steve Hubback, metal percussion, gongs. Recorded in 2001 at studio At The Crossroads. 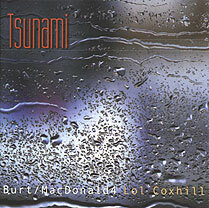 FMR CD82 V/A TSUNAMI 06/12/01 Lol Coxhill, saxophones; George Burt, guitar; Raymond MacDonald, saxophones; George Lyle, bass; Allan Pendreigh, drums. Recorded on 11 June 2000 at The Foundry, Glasgow. 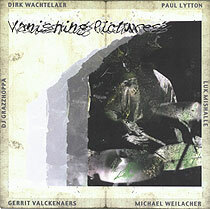 FMR CD76 V/A VANISHING PICTURES 19-04-01 Dirk Wachtelaer, drums and treatments, sampler, rhythm machine, radio samples; DJ Grazzhoppa, turntables (omit track 6); Paul Lytton, percussion, electronics (tracks 1, 2, 4, 6, 8 9); Gerrit Valckenaers, sampler, bicycle wheel, bass clarinet (tracks 1, 3, 4, 8, 9); Luk Mishalle, saxophone (tracks 1, 2, 3, 8, 9); Michael Weilacher, tam tam, percussion, percu piano (tracks 2, 4, 7). Recorded in December 1999 at studio At The Crossroads. FMR CD15 Wachsmann, Phil Icarus Philipp Wachsmann, violin, live electronics; Roger Curphy, double bass; Mark Wastell, cello; Carol Ann Jackson, voice; Trevor Taylor, percussion, electronics. Recorded on 17 August 1995 at the Whitehouse. FMR CD84 WACHTELAER, DIRK KONSTRUCTION/DECONSTRUKTI 06/12/01 Phil Wachsmann, violin and electronics; Peter Jacobsen, piano, harpsichord, synth; Ian Brighton, electric guitar; Marcio Mattos, bass and cello; Trevor Taylor, percussion. Recorded at The Smokehouse, Wapping, London on 18 October 1988. FMR CD108 WATTS, TREVOR MOIRE MUSIC: WITH ONE VOICE Trevor Watts (alto saxophone), Simon Pickard (tenor saxophone), Liane Carroll (voice/keyboards), Veryan Weston (piano), Richard Granville-Smith (piano accordion), Liam Genockey (drums), Nana Tsiboe (African percussion), Kofi Adu (African percussion), Colin Gibson (bass guitar). FMR CD131 WORKING PARTY STARTING POINT: ZERO The Working Party is a Glasgow based art company set up in December 2000.